Watch the bottom-line price. 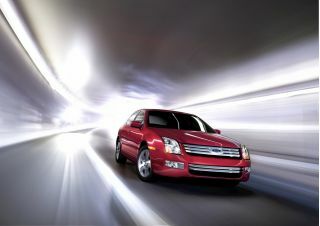 The CE and LE models represent good value, but prices on the V-6 SE and XLE models can well exceed the $30,000 mark. 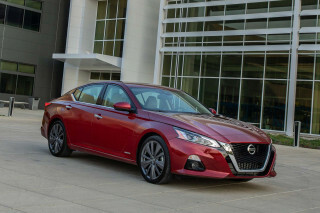 For about the same money, you might be able to get the larger Avalon, which has an even bigger backseat and plusher ride, or the Lexus ES 350, which includes a warmer Lexus interior and Lexus dealership privileges. The 2008 Toyota Camry won't set hearts racing, but it's still one of the best choices for those looking for a reliable and roomy sedan. 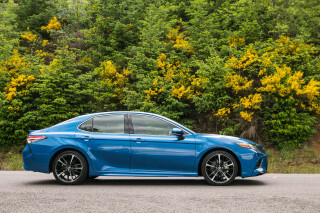 The experts at TheCarConnection.com studied the range of reviews on the new 2008 Toyota Camry Hybrid, then produced this comprehensive report. 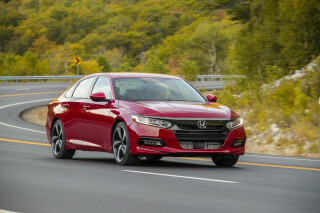 TheCarConnection.com's editors have also driven the 2008 Toyota Camry Hybrid and have incorporated their experience with the vehicle to bring you this definitive piece. The 2008 Toyota Camry Hybrid--essentially the mid-size Camry sedan fitted with a high-tech, frugal gasoline-electric hybrid system--gets a price cut of $1,000 and a couple of new option packages as it returns for the 2008 model year. Fuel efficiency is the big selling point on the 2008 Toyota Camry Hybrid, with EPA fuel economy estimates of 33 mpg city, 34 mpg highway. Like the Prius, the 2008 Toyota Camry Hybrid has a so-called full hybrid system, meaning that it can move at low speeds on electric power alone; at higher speeds and when more power is needed, the vehicle uses varying combinations of electric power and gas-engine power (from a 2.4-liter four-cylinder), and charges the battery system, especially when coasting or braking. 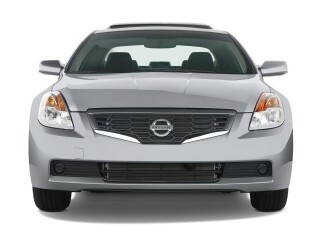 Altogether, the hybrid system and engine achieve 192 horsepower. The Hybrid's additional components fit well into the existing package, and the battery system is packaged masterfully and does not seriously affect trunk space. The high-tech powertrain in the 2008 Toyota Camry Hybrid operates smoothly and unobtrusively, to the point that with the sound system turned up, it's hard to tell when the gasoline engine turns on (an instrument panel display shows that). Like the other Camry sedans, the Hybrid has a rather soft, well-controlled ride and a very spacious interior, with plenty of legroom in back and space for five adults. Due to the Hybrid's heavier weight, it handles safely but not as nimbly as the standard Camry. The 2008 Toyota Camry Hybrid comes with standard power windows and door locks, as well as curtain and side airbags. Toyota's more sophisticated form of electronic stability control, called Vehicle Dynamics Integrated Management (VDIM) is standard on the Hybrid to assure that power delivery is smooth and that the system is stable on slippery surfaces. The 2008 Toyota Camry Hybrid comes with quite a bit more standard equipment than the normal Camry; it includes a Smart Key system, dual-zone automatic climate control, a Plasmacluster ionizer, 16-inch steel wheels, and AM/FM/single CD audio system with six speakers. An impressive JBL audio system and navigation system are available as part of options packages; stand-alone options for this year's Camry Hybrid include a power moonroof, a leather interior, driver and front passenger heated seats, and heated outside mirrors. The 2008 Toyota Camry Hybrid comes with a knee airbag for the driver as well as full-length curtain and front seat side-impact airbags, for seven airbags in total, plus the VDIM stability control system. The Camry Hybrid does quite well in safety, including five-star results in the federal government's crash tests; a nonhybrid Camry got Good results in the insurance industry tests, except for a Marginal result in the rear-impact test. The 2008 Toyota Camry Hybrid offers a stylish yet sedate look that works for individuals and families alike. Reviewers don't have much to say about the 2008 Camry Hybrid's appearance, except that it looks much like its nonhybrid cousin. The Camry Hybrid has a longer wheelbase and a blunter, sportier nose than in the previous generation, which Cars.com notes gives you "more sculpted, angular forms." Edmunds.com agrees and calls the 2008 Toyota Camry Hybrid a "very impressive and complete sedan that now has the added benefit of an attractive price." 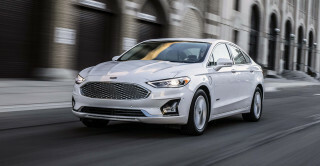 The standard wheels are 16-inch steel, but Cars.com points out that you can opt for "17-inch aluminum wheels, an exclusive black honeycomb grille, ground effects and tinted headlight lenses." Auto123 says the 2008 Camry Hybrid "continues to look fresh." As to the interior of the 2008 Camry Hybrid, Edmunds.com notes that the "cabin looks snazzier than in years past" and the ride "rival[s] King Tut's tomb for quietude." It offers comfortable seating and many different storage compartments that make it "a very family-friendly environment." Of the various Toyotas, the 2008 Toyota Camry Hybrid is still one of the more reserved family sedans. Toyota offers the Hybrid option on the XLE trim package, which means it’s just as rich-looking as any other Camry. While maybe not the fastest or the flashiest, the 2008 Toyota Camry Hybrid holds its own when it comes to performance among the hybrid competitors. With a few exceptions, reviewers praise the 2008 Toyota Camry Hybrid's performance not just in comparison to other hybrids, but gas-powered sedans. Road & Track notes that the Camry Hybrid "maximizes use of the available electric propulsion and minimizes inefficient modes of the gasoline powerplant" and also gives kudos to "Toyota's Hybrid Synergy Drive system" for being "seamless." The Toyota Camry Hybrid offers a 2.4-liter, four-cylinder engine with a continuously variable transmission. The engine provides 147 hp, but Edmunds.com notes that the "electric motor adds another 40 hp." The Camry Hybrid's electric motor can run the vehicle independently, but only at speeds below 30 mph. Edmunds.com also states that while Toyota was not looking to create a high-performance hybrid, the 2008 Toyota Camry Hybrid goes from 0-60 mph "in a very respectable 8.4 seconds." Road & Track sums it up by saying they would be "more than happy to give up a couple of seconds to 60 mph if that meant a 50-mpg Camry." Toyota's premier hybrid car is the Prius, and Popular Mechanics wonders if people "are willing to pay about the same for the larger Camry Hybrid as they will for the slick but smaller Prius." The 2008 Toyota Camry Hybrid offers better quality than most other hybrids in its class and is comfortable inside for the whole family. While most cars are reviewed for comfort and quality just as rigorously as performance and reliability, in general the 2008 Toyota Camry Hybrid and other hybrid cars have been reviewed more for their gas-sipping abilities than their comfort. The 2008 Toyota Camry will continue to carry the reputation of a comfortable and quality-built car, the Hybrid included. Cars.com notes that the Camry Hybrid can comfortably seat five occupants and that "cloth seats are standard, but leather is optional." Auto123 is very impressed with 2008 Camry Hybrid, saying "it delivers the same smooth, composed ride as that of non-hybrid Camrys." As with all electric and hybrid cars, its engine is intrinsically quiet, but construction of the cabin means that little "road or wind noise penetrates" and only when the engine is pushed hard is it that "a heavily censored growl can be detected." 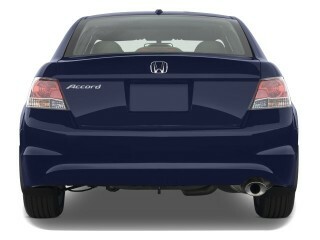 As in most hybrid cars reviewed by TheCarConnection.com, the trunk space has been reduced slightly. The 2008 Camry Hybrid offers 10.6 cubic feet of trunk space; Cars.com points out that the "backseat does fold forward" to allow trunk access from inside the vehicle. Edmunds.com states that the 2008 Toyota Camry Hybrid's "general quality has gone downhill in terms of build quality and materials" but immediately follows that statement with "it's still better than what some other brands offer." 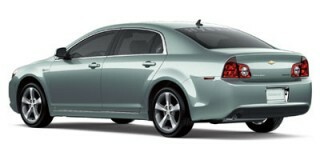 Edmunds.com also notes that "What it lacks in polish...the Camry Hybrid makes up for with space, quiet and comfort." The 2008 Toyota Camry Hybrid excelled at both the governmental crash tests and the IIHS safety tests and offers some of the best safety features among its hybrid competitors on the road. The 2008 Toyota Camry Hybrid offers a comprehensive package of safety features. 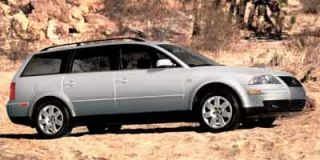 Some of the standard safety features noted by Cars.com include "dual-stage frontal bags, front seat-mounted side-impact airbags, side curtain-type airbags and a driver's knee airbag." Cars.com also notes that the "electronic stability system" that is optional in other Camry models comes standard in the 2008 Toyota Camry Hybrid. 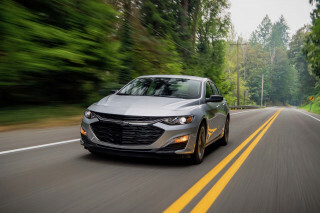 According to Edmunds, the Insurance Institute for Highway Safety (IIHS) "gave the Camry its highest rating of 'Good' for frontal-offset and side collision protection." Road & Track notes that "as part of their crashworthiness, hybrids have automatic disconnect of their high-voltage source" and that standard EMS/firefighter training now includes "where to cut into hybrids with minimal hazard." The National Highway Traffic Safety Administration gave the 2008 Camry Hybrid five stars, its highest rating, in both frontal and side crash safety. It also rates it highly (four out of five stars) on rollover avoidance. Like most new vehicles, the 2008 Toyota Camry Hybrid comes standard with anti-lock brakes. 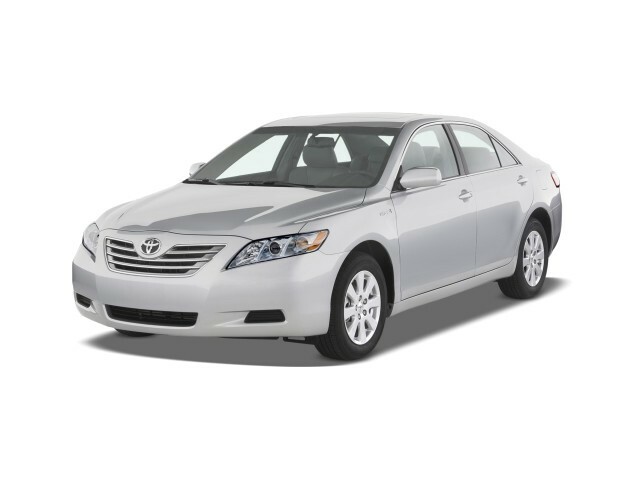 The 2008 Toyota Camry Hybrid contains all of the options a car enthusiast might want or need. The 2008 Toyota Camry Hybrid sports many features not even found on the standard gas-engine Camry. According to Edmunds.com, some of the standard features on the 2008 Toyota Camry Hybrid include "dual-zone automatic climate control, keyless ignition, cloth upholstery, an eight-way power driver seat," and much more. Car and Driver also touts the "heated power side mirrors; a power tilting-and-sliding sunroof; an eight-speaker, 440-watt JBL AM/FM/MP3/WMA stereo with a six-CD changer." The 2008 Toyota Camry Hybrid also includes satellite radio prep and Bluetooth prep and offers audio, phone, and climate controls mounted on the steering wheel, as well as a Smart Key system, dual-zone automatic climate control, a Plasmacluster ionizer, 16-inch steel wheels, and AM/FM/single CD audio system with six speakers. Best car we've ever owned! Currently has 95,000 miles on the odo. Bought in Portland Maine in Feb. 2008. Only troubles were a failed radio after one week (replaced under warranty), brake pad replacements at 45,000 miles, and a few minor recalls at no charge. Extremely low... Bought in Portland Maine in Feb. 2008. Only troubles were a failed radio after one week (replaced under warranty), brake pad replacements at 45,000 miles, and a few minor recalls at no charge. Extremely low maintenance costs! This vehicle has been much better than we expected in terms of fuel consumption, power, comfort, value, reliability, tire wear (Michelin summers and winters)and stealth (bland styling keeps us under the radar!). Easily the quietest car we've ever owned. Although the power train/hybrid warranty expires in four months, we have decided to keep the vehicle rather than trade-up to the most current version. Had 44,000 miles before trading.